Vivid Arts Ltd was formed in September 2006 by like minded individuals with many years of experience in the gardening industry and wider FMCG environments. The business has grown steadily since and now supplies products to key retail partners in the garden and leisure sectors cross the UK and Ireland. 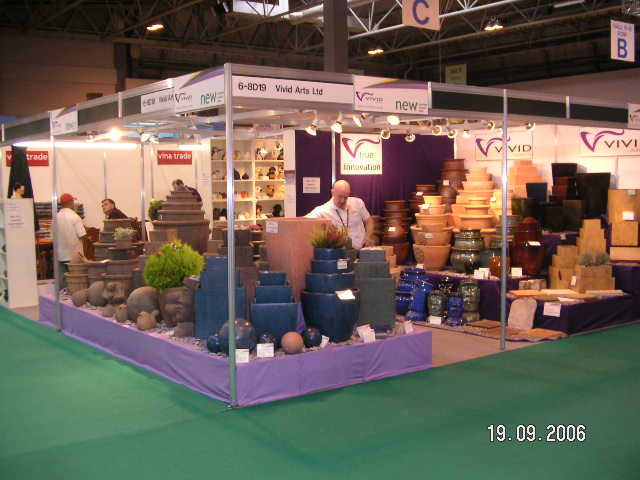 The initial company product offer launched at GLEE 2006 (below) comprised of quality outdoor pottery and an early incarnation of a Garden Decor (resin) range. 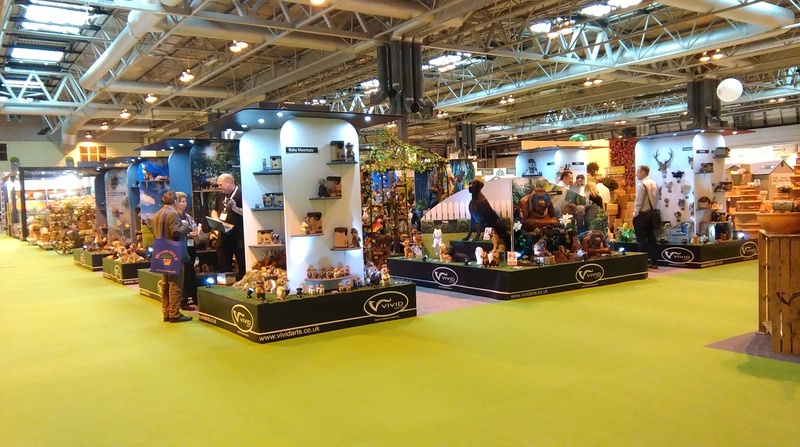 In subsequent years, the company has pioneered a new approach to the Garden Decor category, breaking new boundaries and making the category a “must stock” for most garden centres and quality retailers. Our first GLEE in 2006! With the core management team having over 50 years of garden category experience between them, the Vivid culture is naturally passionate about ongoing product and service development. As a result, the product range is constantly evolving, driven by our determined aim to constantly bring something new in to the market place that will bring enjoyment and pleasure to both consumers and our trade partners. With several years of “team category experience”, a good idea today can be on sale within weeks. Important in a category reliant on fresh ideas and ongoing range rotation. Whether you are buying or selling Vivid products……….our aim is to keep the new product ideas coming through! 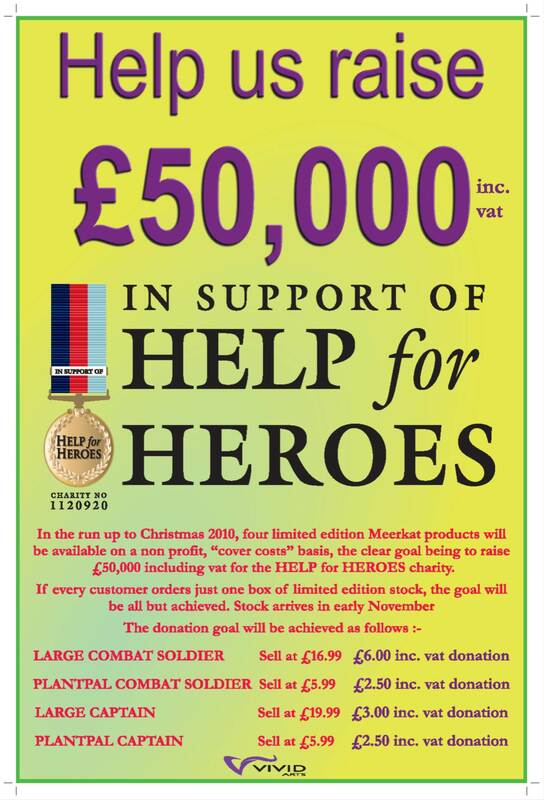 In late 2010 Vivid Arts and its trade customer partners worked together in raising £48,500 for the Help for Heroes charity, just £1,500 short of our ambitious £50,000 target! 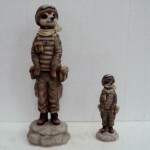 Vivid specially developed a small range of Combat Meerkats for the charity, created by the Vivid product development team. 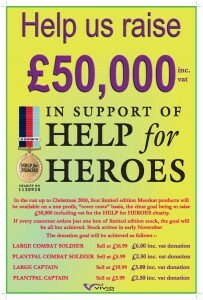 The initiative was launched at GLEE 2010 with product selling through the trade in the run up and during 2011. Our thanks again to all in the trade who supported the bold plan and helped make it such a success. All Vivid Arts products are taken from initial concept to final production by the Vivid Arts team. This process can be painstaking, ensuring the detailed final product meets the high expectations of both trade customers and end consumers. The results of this process hopefully speak for themselves! The result is that each product is unique to Vivid Arts with all design rights being assigned to Vivid Arts. As such, the business occasionally has no choice but to take appropriate action to stop IP infringements (in order to protect range and QC integrity). Vivid Arts is recognised within the EBAY VERO (Verified Rights Owners) programme. 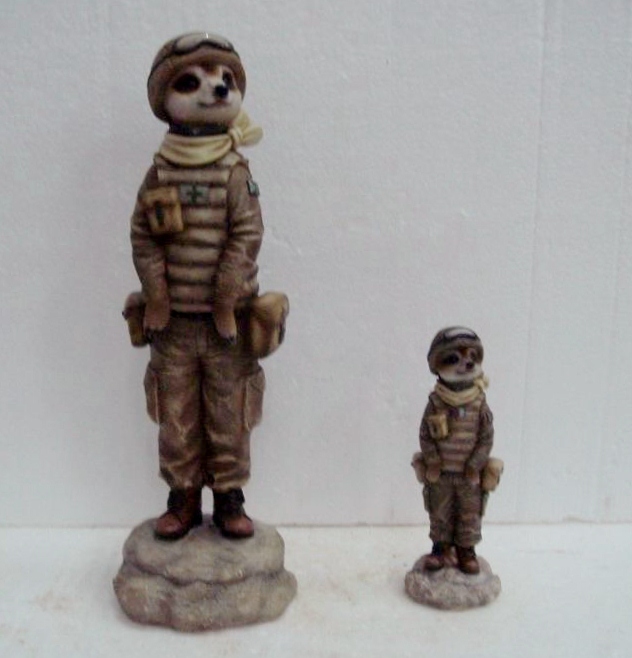 In 2013 Vivid Arts Ltd commenced legal proceedings against Tom Chambers Ltd on allegations of copyright infringement, design right infringement and/or passing off in respect of Vivid Arts’ award winning resin based “Real Life” and “Nature’s Friend” animal range of garden ornaments by the promotion, manufacture, sale and supply of Tom Chambers’ resin based animal range of garden ornaments. ‘Vivid Arts Limited and Tom Chambers Limited are pleased to announce that they have settled their dispute regarding allegations of design right infringement, copyright infringement and passing off. ‘Whilst the terms of the settlement are confidential, Tom Chambers Limited, without admission of liability, with effect from 19 November 2015, will no longer offer for sale its Animal Art range of products but will still accept orders for its Bronze and Pewter ranges of products.